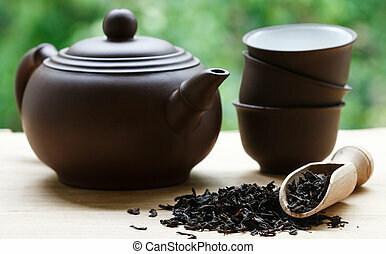 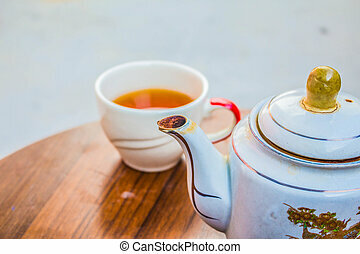 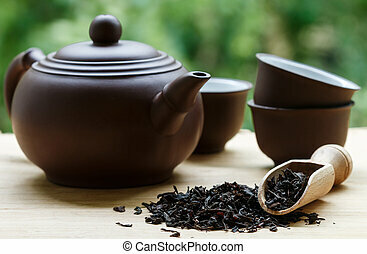 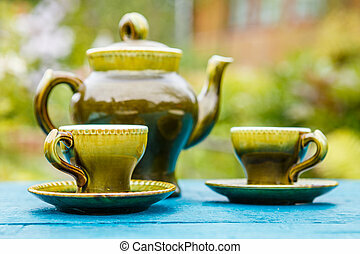 Ceramic teapot and cups on the table. 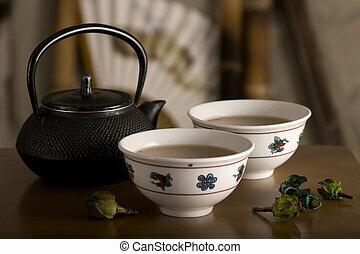 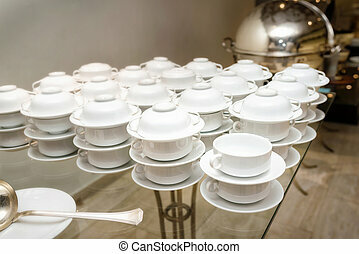 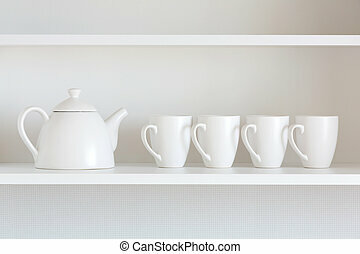 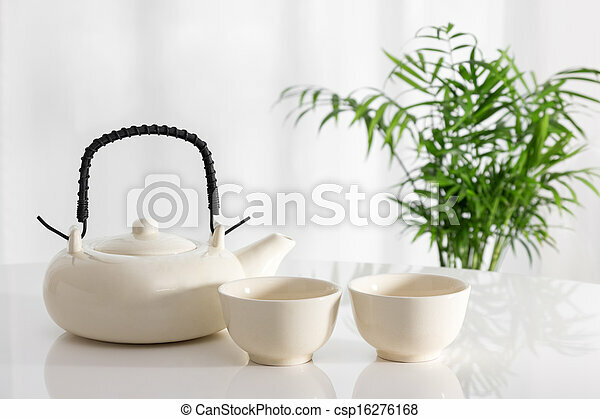 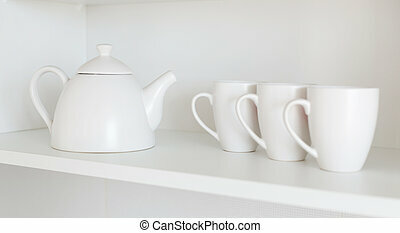 White ceramic teapot and cups on the table, with green plant in the background. 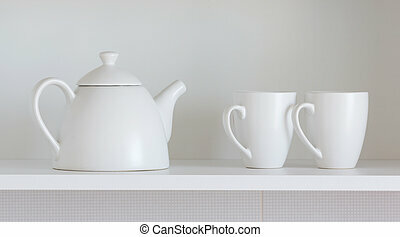 White ceramic teapot and cups on the table, with green plant in the background. 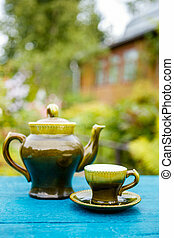 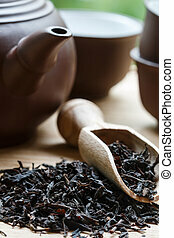 Teapot on the table for a refill. 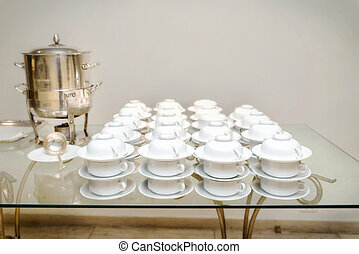 White cups on the table. 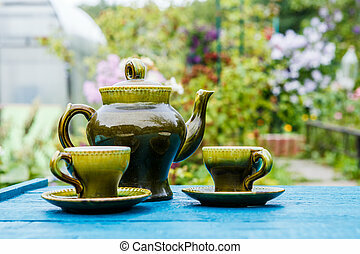 The Chinese teapot, two cups and fruit on table. 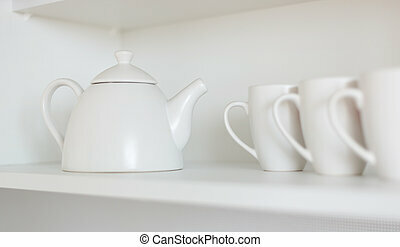 Still-life.